Zucchini Island | The journey of a knitter over the sea of stitches of love & joy. The journey of a knitter over the sea of stitches of love & joy. Deea baby romper has quickly become one of the best sellers in my shop. It is perfect for baby boys and baby girls, too and it comes in all sizes from newborn to 12 months. It is perfect to use as a photography prop and I can tell you that photographers do love it: it is so lovely and easy to put on a baby with the shoulder straps and the cutest wood buttons! Feeling grateful for having the chance to share my knowledge to the world, I have decided to write the pattern. And so I did, with the beginner knitter in mind and added lots of photos to help along the way. It is flat knited, one row at a time, bottom to top; there is no round knit here. Nope! No sign of it. So, get the pattern, make a gift! Make it for your baby or make it for your photography biz. Would you like to have one knitted by me? I’d be delighted to make it! An adorably simple project for the beginners and intermediate knitters, to make a super chunky baby blanket. Take a bit of the time to check gauge with the yarn and needles you have. To have a nice finish on the sides, I always slip the first stitch, I do not knit it. You may use circular or straight needle, whatever suits you better. For me it is easier to knit with circular needles, I find them easier to hold when there’s a lot already knitted on them. If you decide to use circular needles, do not join the end, but work in rows. We will use for this blanket: the seed stitch for the border to prevent the stockinette stitch from rolling in, and stockinette stitch for the body of the blanket. The border is formed of 3 rows on the top and bottom and 3 stitches on each side knitted in seed stitch. Cast on 35 stitches loosely or as many stitches to meet the gauge, but make sure you have an ODD number or stitches. R4: Slip the first stitch, K1, P1, K the next 31 stitches (or until you have left only 2) P1, K1. Repeat rows 4 and 5 until you have 19 inches – it should be aprox 35 rows. You now only have to make the upper border in seed stitch! Bind off the stitches, in knit. Created for you, with love, by Ioana. Enjoy! Did you make it? Please share your beautiful little blankie! Starting of a new project is always exciting: the endless possibilities open ahead and the good feelings start pouring in. Where will it lead me? What great discoveries will unravel? What wonderful people will I meet? well, you see, I get carried away pretty easily and overly excited even about a small project like this: writing the pattern of a baby romper. Yes. Just this: I’ve started writting a new pattern; no, I am not going to explore the North Pole, nor share the habitat with the great grizzly bears in Alaska. But you, see, for a couch potato like me, starting a new pattern seems to just like that: Fighting with the grizzly for supremacy. 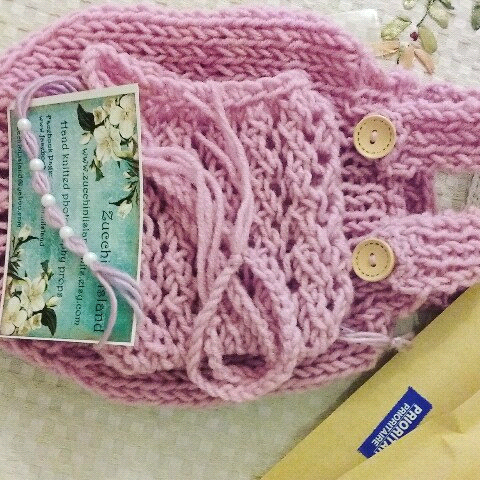 …but you see… endless possibilities, people to meet..
Sending out sweet little knits for sweet little people. The easiest and coolest of them all! It looks the same on the right side and on the wrong side, too, and this is why it is just perfect for a blanket or a scarf. Ooh! .. and them sweaters look pretty amazing in the garter stitch, too! Just knit. Knit on the right side and knit on the wrong side. and when you are done, cast it off. Knitting in cables…. yes, that was pretty scary to me at some point! I thought it to be only for the masters of the knitting world exclusive ability. I only knew how to play with the purls and knits and looking at those rows of stitches traveling from one side to the other was like magic hands have touched that sweater or blanket or whatever it was. Until one day I wanted to learn how to do the magic. And I did. magis is simple afterwards, you just have to really get to know it. Do not be scared to try to do anything. If you put your mind to it, any celtic cable can be achieved, you can design your own cables, send them in any way, move them around and bring them back. If you would like to try and make some simple cables like those in the photo, I have ready a pattern to help you through it all. The pattern is written for a mini blanket, but it has instructions on how to enlarge it to any size you wish. Although it is recomended to use a cable needle, don’t let that scare you away! I don’t use them (even if I have a couple) I just take the stitches out, leave them hanging in front or on the back of the work, depending on the pattern, knit the next ones and then just pick the hanging ones again on the needle. It might be a bit tricky because you might lose a stitch if you are not carefull enough. But hey! just work on it and see what suits you better. Because I mostly knit baby stuff , I have the patterns written in baby sizes. To transform a baby blanket into an afgan or a big blanket, it is easy to calculate how many stitches to cast on to make a certain size. But then comes the question: how much yarn to buy??? Most of the skeins have the weight on them, so my calculations are based on this. Well, my dears, this is when we need a bit of math … oh, no! don’t run away! I promise that is quite simple. I am using the metric measurements, but even if you use the imperial, the logic is the same. What do we need? A scale. An electronic one, is more accurate, so, it is better. Don’t forget that the calculations are more for orientation, but this is what I use. First knit your swatch. Mine was 15 x 8 cm and was weighing 8 grams. Let’s say I want to knit an 100cm x 150 cm afghan. It will have an area of: 100*150 = 15000 sq cm. That will be 10 skeins of 100 grams each. OR 5 skeins of 200 grams each. or what ever yarn you decide to use. I am hopelessly inlove with the seaside. I love the flowers and butterflies and babies. I love my friends. My “now” friens, my “past” friends and my “future” friends. Enter your email address to follow Zucchini Island and receive notifications of new posts by email.